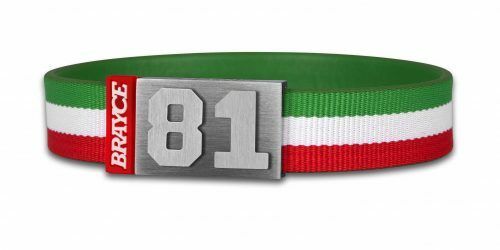 As a passionate hockey fan, you want to show your love for the Game. 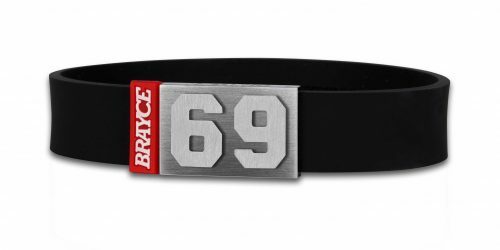 We at BRAYCE® have invented an innovative bracelet, you make Gameday every day: The jersey bracelet! Your club colors are blue and white? With the original jersey bracelet blue and white (Toronto Maple Leafs) you show your love for your club and your favorite hockey player 24/7. Customize now! The Toronto Maple Leafs were founded as Toronto Arenas in 1917 and began to play at the beginning of the 1917/18 season. After several renaming, the club has been operating as Toronto Maple Leafs since 1927, and since 1928 the team colors have returned to blue and white. The home games have been held since 1999 at the Air Canada Centre. The Toronto Maple Leafs are one of two Canadian original Six teams and, with 13 Stanley Cup victories, the team with the second most Stanley Cup victories. Particularly in the 1940s and 1960s, Toronto Maple Leafs were one of the best teams in the NHL, celebrating various successes. 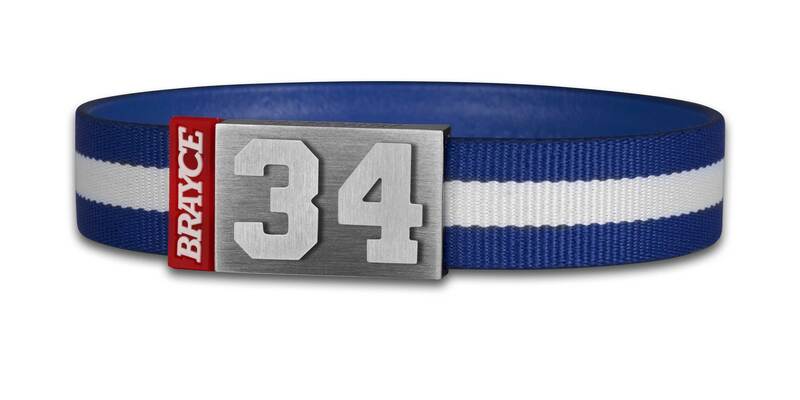 Customize your jersey bracelet blue and white (Toronto Maple Leafs) with your favorite player number (0-99)! Auston Matthews #34, Morgan Rielly #44, Nazem Kadri #43, James van Riemsdyk #25, Mitchell Marner #16, Jonathan Bernier #45 and Joffrey Lupul #19- we got them all! The Toronto Maple Leafs are not only one of the most traditional clubs in North American hockey, but also one of the most popular clubs in North American hockey. The Toronto Maple Leafs have one of the largest fan communities in the NHL. Since the Leafs were the only team from the English-speaking part of Canada in the race for the Stanley Cup from 1938 to 1970, they also have a large fan base in other Canadian NHL cities. 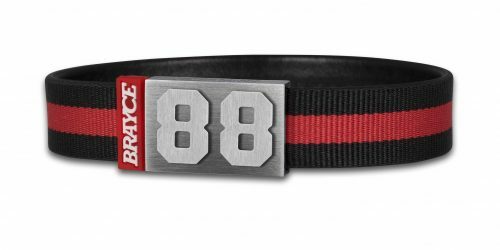 Besides our team colored bracelet blue and white (Toronto Maple Leafs), we at BRAYCE® proudly present our original sports hockey collection. 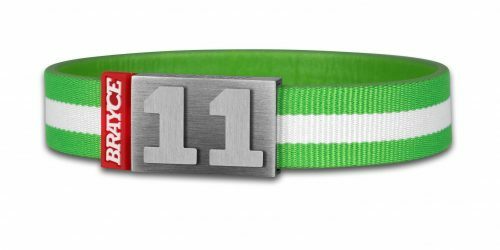 This authentic hockey collection consists out of three stylish hockey wristbands (hockey puck bracelet and hockey lace bracelet).